Details of our Pupil Premium and our Sport Premium can be found below. The barriers are as individual as our pupils are. That is why we judge it to be vitally important to adapt the pupil premium funded activity towards whole-school strategies that impact on all pupils, and specific support targeting pupil premium pupils. Some disadvantages are not always identified by the official statistics; therefore, specific support for pupil premium pupils also enables focussed support to target other under-performing pupils. Our vision is that all pupils, regardless of barriers to learning or socio-economic status, will reach the same standards, make the same progress and develop the same level of self-belief during their time at Ipsley. If the pupils aren’t in the building it doesn’t matter how great our teaching is they are not going to benefit from it. If assessment is given formatively to the learner and/or the teacher about the learner’s performance relative to learning goals, progress is accelerated. Poor and disruptive behaviour in the classroom reduces children’s ability to concentrate and absorb information. When students feel that they are a part of a school community, they are more likely to perform better academically and are more motivated to learn. PISA 2015 Results (Volume 3) Students’ well being. Quality first teaching is the best way to improve outcomes for pupil premium students. Pupils from disadvantaged families are more likely to be uncertain about the qualifications they need to access their chosen career and get the skills they need. Progress is measured from entry in Year 5, through the KS2 SATs to the GL Assessment test taken at the end of Y8. The progress made by the cohort during their four years at the school is excellent and gives them a solid foundation for success in the next phase of their education. Through a clear focus on quality first teaching and developmental coaching of staff, attainment for the pupil premium cohort has risen. Whilst these increases may not always be akin to that of their non-disadvantaged peers, outcomes have improved in the manner the research from the Sutton Trust and Education Endowment Fund suggested it would: increased outcomes for pupil premium and increased outcomes for all. Through greater clarity of reporting systems and the scrutiny of data, timely interventions at data capture milestones have enabled both senior and middle leaders to prioritise the interventions for disadvantaged students. A strategic analysis of expected progress also helped identify where students were underperforming in contrast to the blunt pass/fail analysis previously used. Attendance for PP and non-PP continue to be above national averages. Whilst these levels have been maintained, they are fairly static over the last three years. Persistent absence for PP is now well below the national PP level and the national level for all pupils. Attendance has been supported through individual rewards, class based rewards and increasing the number of lunch and after school clubs so that school is a more enjoyable experience. Coupled with the enrichment has been an emphasis on improving T&L and collaborative learning which promotes enjoyment. Attendance is addressed every Monday during tutor time and year group assemblies are now ‘celebration assemblies’ to enhance the enjoyment and aspirations of coming to school. Attendance monitoring and parental contact is now done at tutor level and through the new year team leaders. Attendance has now increased above the national average and the reduction in PA students has been through targeted high profile rewards such as Manchester United and Wembley stadium experiences, regular year group experiences such as visits to the cinema, bowling and live bands and the subsidising of individual tutor experiences for targeted pupil premium pupils who were at risk of or in the persistent absence categories; theatre, butterfly farm, etc. Analysis of the online behaviour data shows incidents of all types declining over the year with the introduction of the new staffing structure and appointments. Many of the incidents that were recorded in the C3 to C5 category were from social time. Rather than increase duties and supervision of pupils, staff were deployed to increase the number of clubs and activities provided at these times which created a reduction in incidents at these times. The sport Premium is a government grant that is used to make additional and sustainable improvements to the quality of Physical Education and sport we offer. Schools receive Sport and PE funding based on the number of pupils in years 1 to 6. The barriers are individual to each cohort joining our school and therefore the use of Sport Premium funding is tailored accordingly. The main areas we focus on are pupils that do not, or have not been given the opportunity to take part in specific sports that they show an interest in. Pupil voice is a tool to retrieve this data and build a picture of each year group where we can identify groups to target. Our vision is that all pupils have an opportunity to find a sport they are interested in that they will continue to take part in when they leave education. A wide and varied sports programme is delivered to enable this to happen and as a result lead a healthier lifestyle. All staff are encouraged to get involved in delivering or assisting in some sporting activity, either on a weekly basis, or during key parts of the sporting calendar such as sports day, or the morning activity programme tailored to increase pupil activity time on a daily basis which is a key government initiative. Identify pupils that enjoy sport and use it to get pupils into school on a regular basis. Target pupils that may be disruptive in the classroom and get them involved in a sport they enjoy outside of curriculum time and during clubs and fixtures. The Youth Sport Trust have carried out a survey that clearly demonstrates the impact of sport in improving behaviour and attendance in schools. The improvement of both can also positively impact on academic achievement. (Youth Sport Trust 2011). 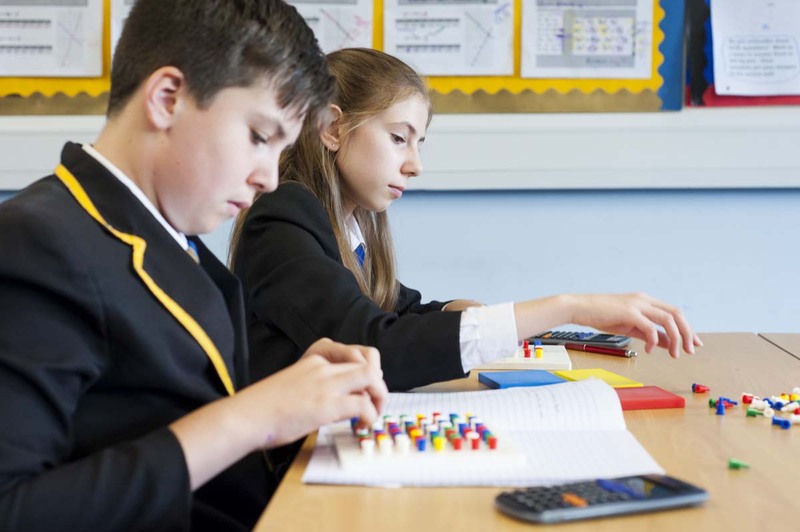 The number of pupils reaching the expected standard has increased across both English and maths, with the gap expected to close further by the end of Year 8 as our interventions continue for the duration of a pupil’s time at Ipsley.